A depressed teen boy sitting on his porch. Watching your son struggle with a broken heart is painful for a parent. While you might want to find a way to spare him the hurt, that isn't realistic. A broken heart is something that will take time to heal, and heartache, although inevitable, can help people become more resilient. Surprisingly, a boy is more likely to take a breakup harder than a girl, especially if he was the one who was broken up with. This doesn't mean there's nothing you can do to help your son. On the contrary, there are a number of simple things to both do and avoid doing to support him during this difficult time. Let your son know you're there for him, and encourage him to talk about what he's going through, recommends Understanding Teenagers founder Chris Hudson on his website. Don't be concerned if he takes your advice, but talks to his friends instead -- this is a perfectly normal part of development, adds Hudson. Resist the urge to reach for old adages like, "there are plenty of fish in the sea," says life and family dynamics coach Danica Trebel in an article for familyshare.com. These cliches will make your son's relationship seem less important, and can negatively affect his learning valuable coping skills. From an adult's point of view, all the drama surrounding an adolescent breakup can seem somewhat overblown. To better help your son, try putting yourself in his shoes, Trebel suggests. Not only will this increase your empathy, but you may find you can use advice you received long ago to fit your son's current experience. Wait to share your own tales of heartbreak until your son is feeling better, counsels Hudson. If you try to tell them before he has gained some perspective, it could come off as though you're focusing on yourself and, from an adolescent's point of view, denying his situation is unique. 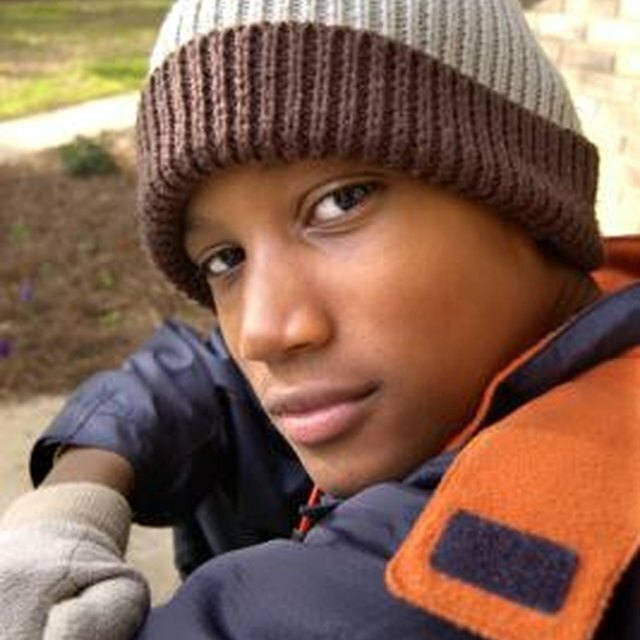 Keep an eye out for warning signs that your son may not be coping well with the heartbreak, advises psychologist Ellen Braaten, Ph.D., in an article on MassGeneral Hospital's website. These signs include feelings of extreme sadness, worthlessness, fatigue or lack of appetite. If your son has been upset for a while and can't seem to get past it, Braaten recommends seeking professional help for him. Some teens will want to talk, and others won't, says Braaten. You can bring up the subject to save him from having to find a way to approach you about it, but, from there, leave the talking up to your son. Pushing him to talk won't help, and could actually have the opposite effect.